Our exploration centers upon this question, put as a test to Gawain by Ragnell, the Loathly Lady in the Grail Legend. The correct answer, “Sovereignty,” seems as illusive to today’s collective imagining as it was in the Middle Ages. We construct a portrait of woman’s journey to authenticity by tracking two motifs in story and film: women’s struggle to live authentically in a society largely cut off from the feminine principle, and the ongoing relevance of myth in portraying the Feminine Divine as an (often hidden) ally on the journey toward wholeness. We will share stories that retain timeless truths about the works of the Feminine Divine, her creative and mercurial aspects, and the urgent need to balance feminine and masculine principles in ourselves and in our culture. Our encounters demonstrate how we can envisage the Feminine Divine, not simply as an archaic figure long buried in collective memory, but as a life force rising out of one’s relationship with land, sky, night dreams, and one another. Readings: If Women Rose Rooted: The Journey to Authenticity and Belonging by Sharon Blackie, September Publishing, 2016 (available from Amazon, or on order from your local bookseller); other readings to be distributed on site. Films: The Summer House, director Waris Hussein, 1993 (based on the novel The Clothes in the Wardrobe by Alice Thomas Ellis); The Piano, directed and written by Jane Campion, 1993. 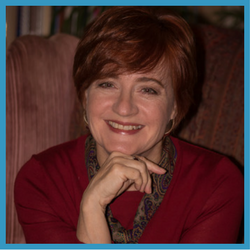 Melanie Starr Costello, Ph.D., is a licensed psychologist, historian, and senior Jungian analyst in private practice in Washington, D.C. She is a graduate of the C.G. Jung Institute-Zurich and earned her doctorate in the History and Literature of Religions from Northwestern University. She formerly served as Assistant Professor of History at St. Mary’s College of Maryland, was a Trustee for the Consortium for Psychoanalytic Research in Washington, D.C., and is currently Director of Education for the Jungian Analysts of Washington, a member of the Board of the C.G. Jung Foundation of New York, and a training analyst for the C.G. Jung Institute-Zurich. Dr. Costello has taught and published on the topics of psychology and religion, medieval spirituality, aging, and clinical practice. Her study of the link between illness and insight, Imagination, Illness and Injury: Jungian Psychology and the Somatic Dimensions of Perception, is published by Routledge Press.